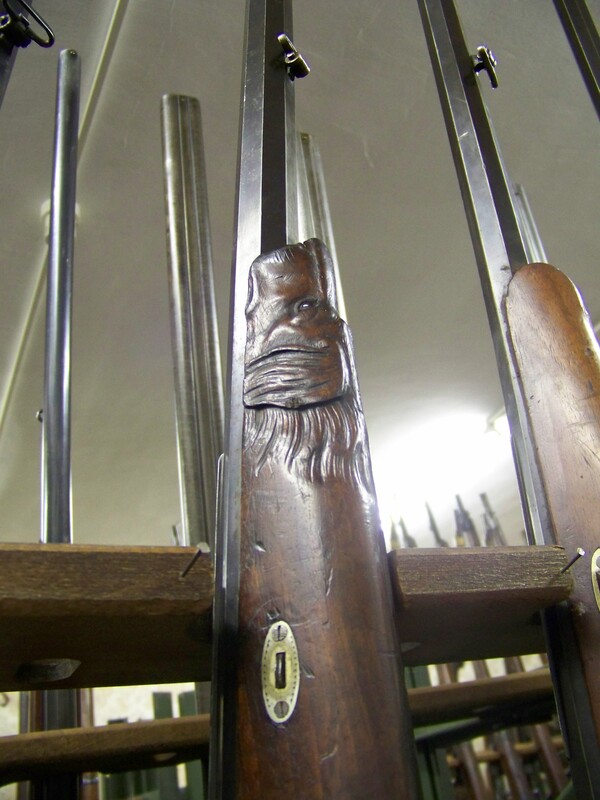 The old Prison now houses the Archives of the City of Suhl and many historic artifacts. 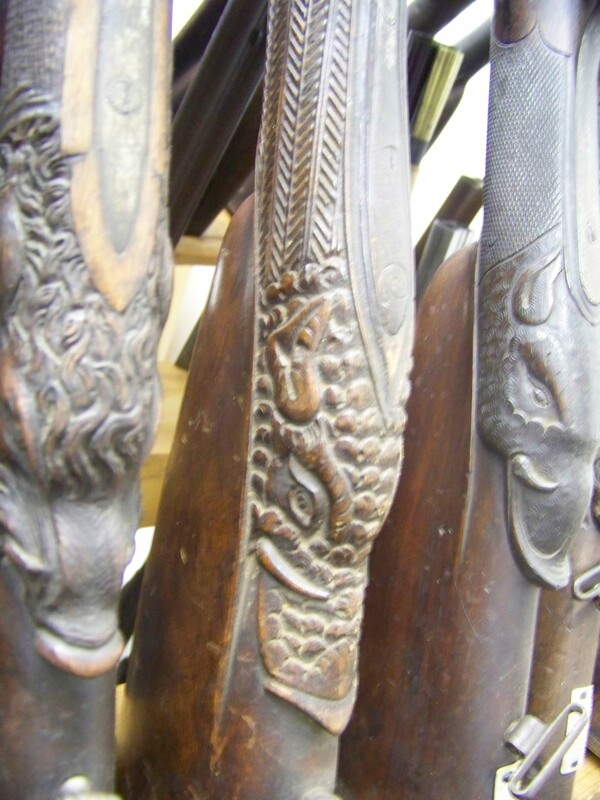 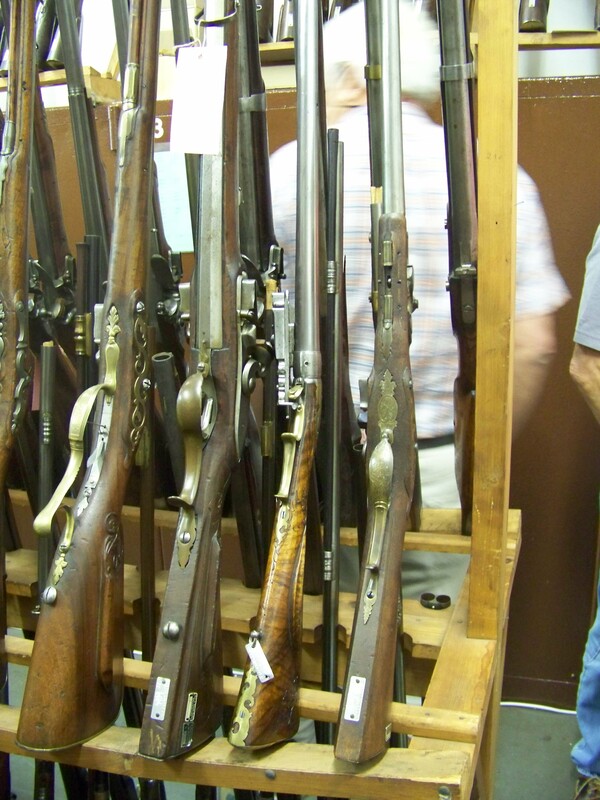 Among these artifacts is a huge collection of antique firearms. 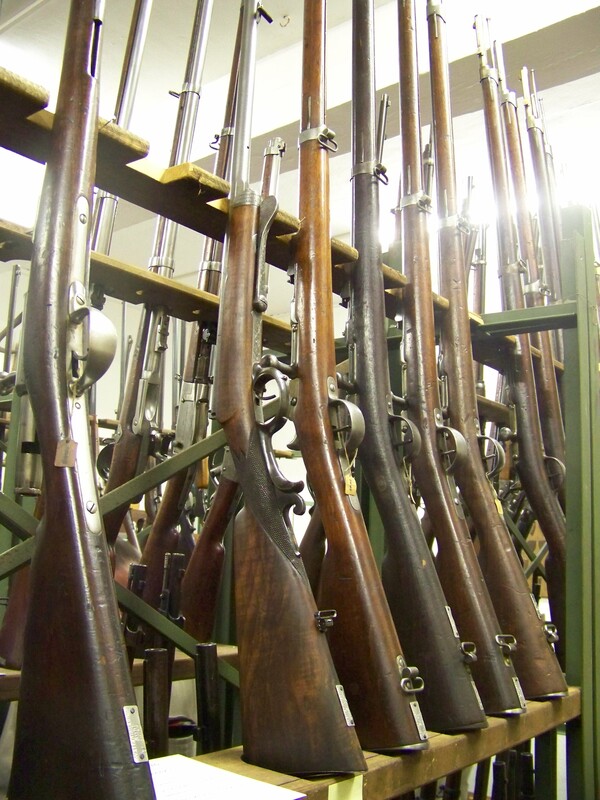 As will be seen from the following pictures, the firearms are stored in two tier racks which are just far enough apart for a person to pass through between them. 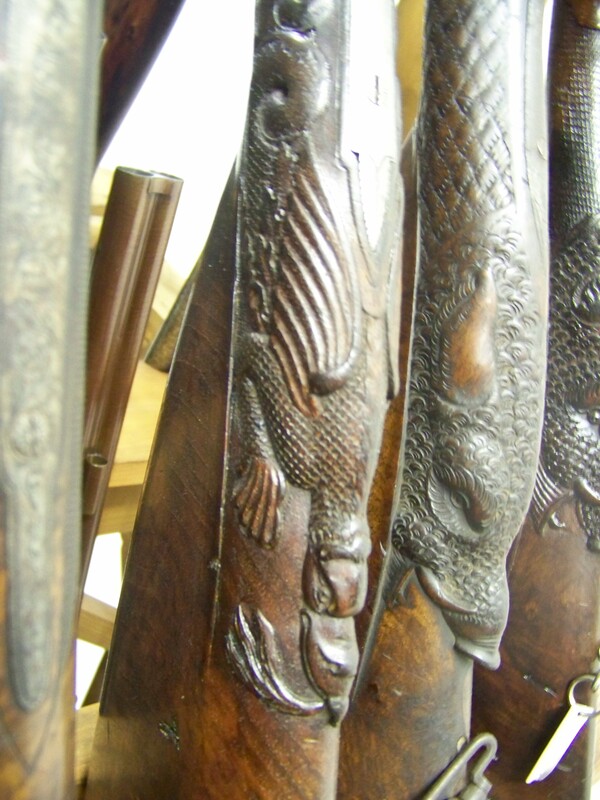 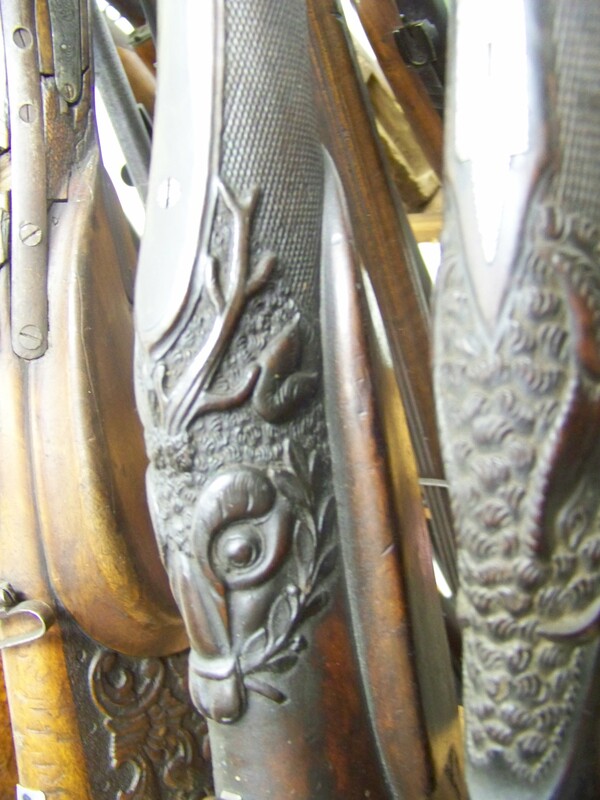 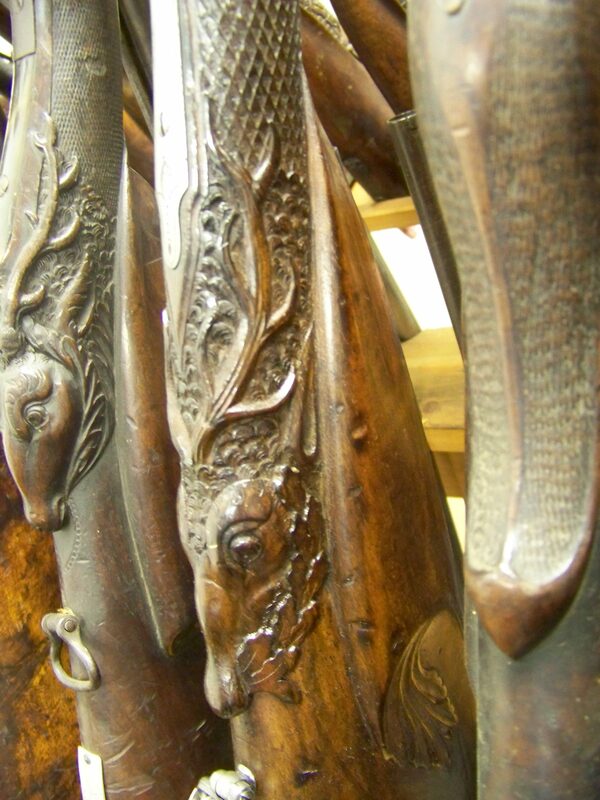 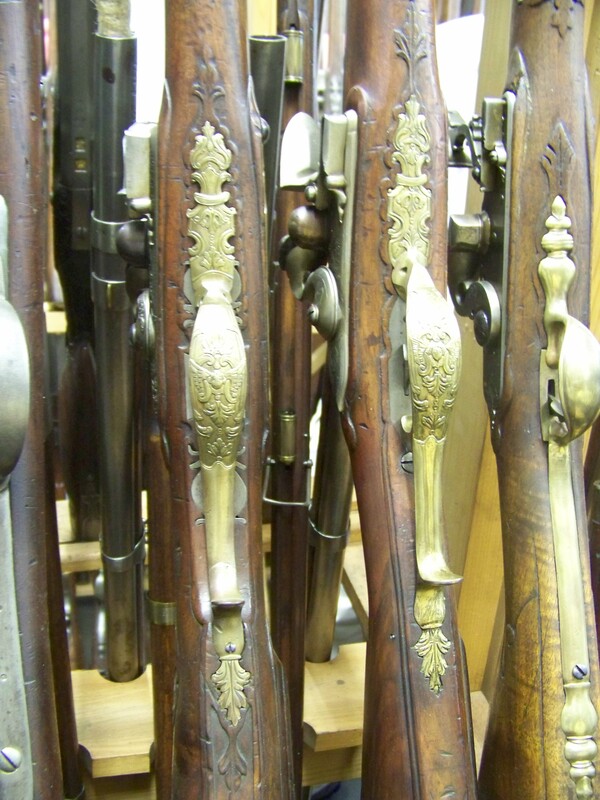 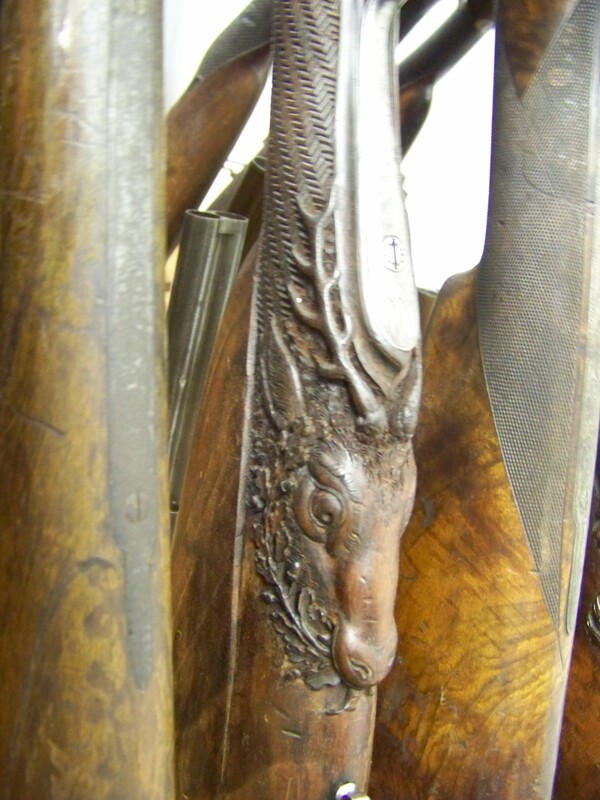 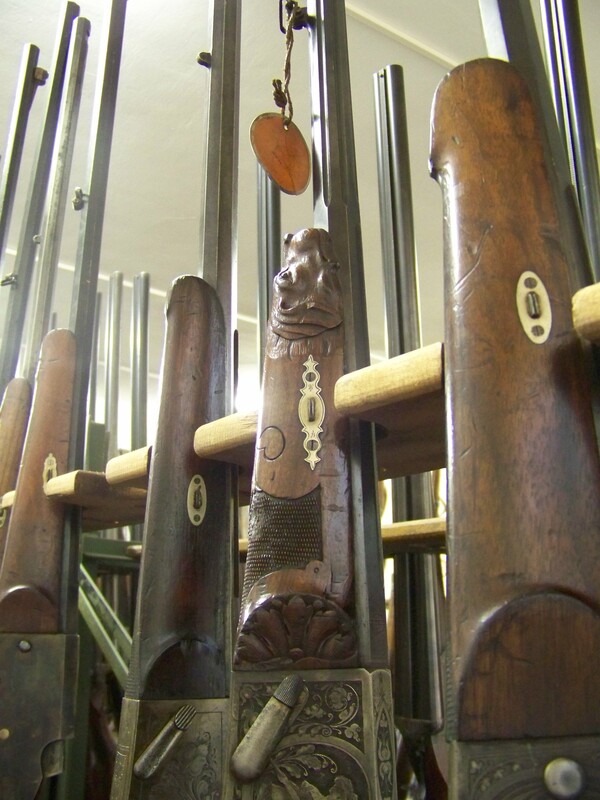 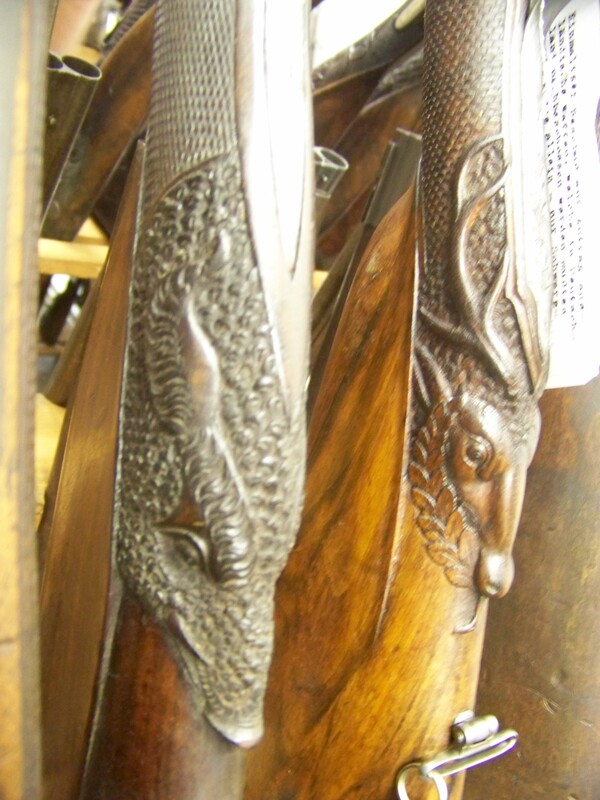 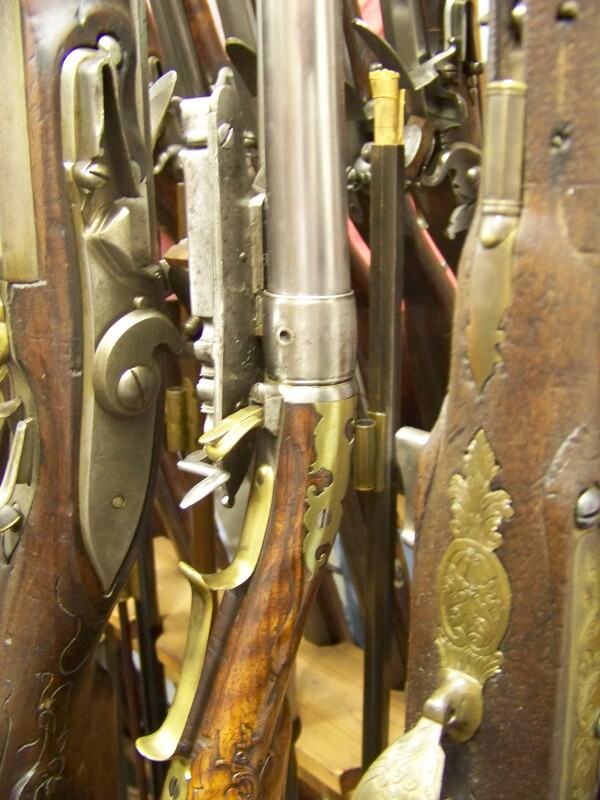 They are both Military and Sporting guns spanning the Flintlock to the breech loading eras. 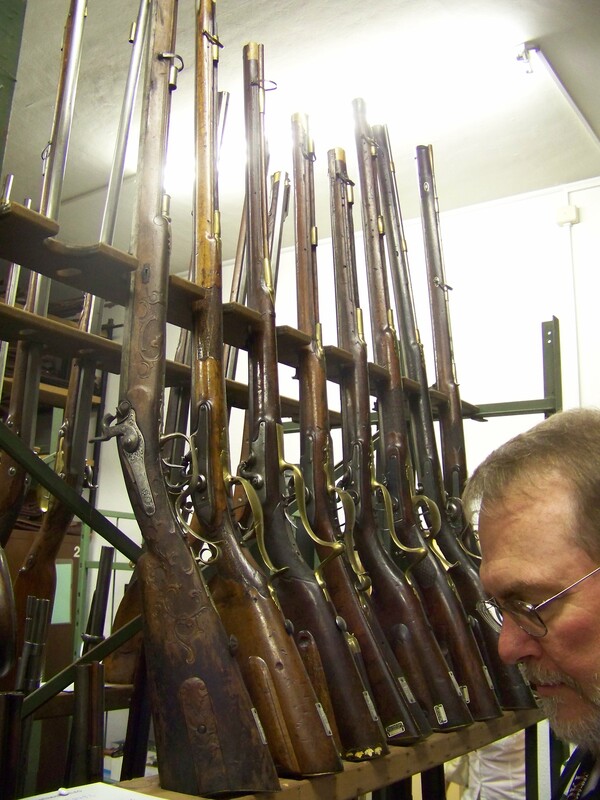 My good friend Axel Eichendorff examining the upper tier of a rack of long guns. 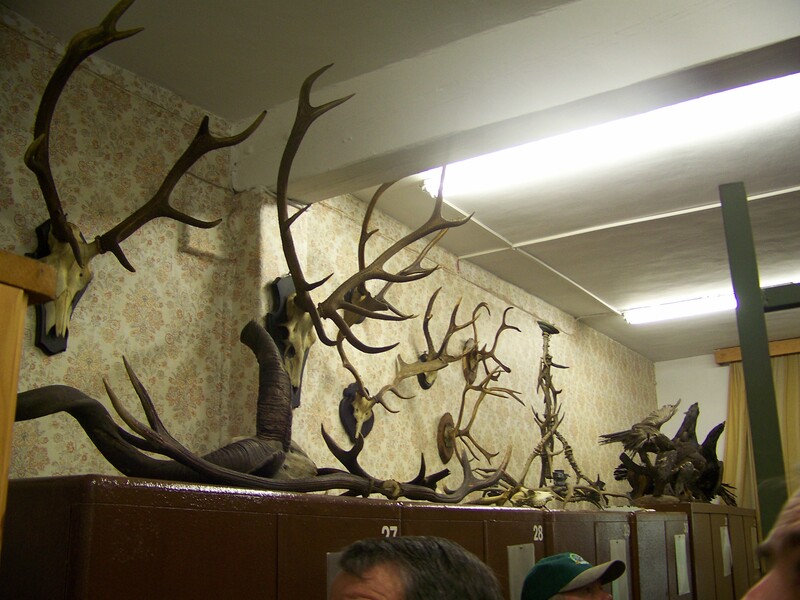 As can be seen there are racks upon racks of them. 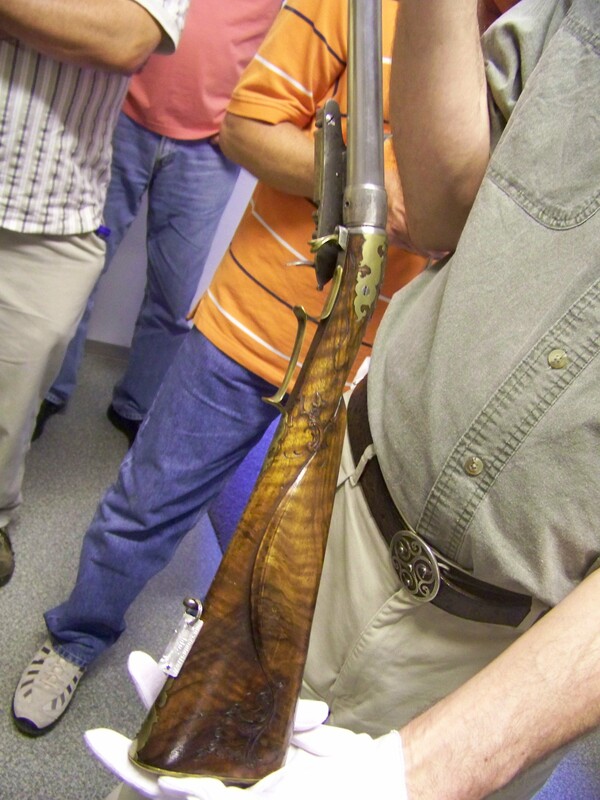 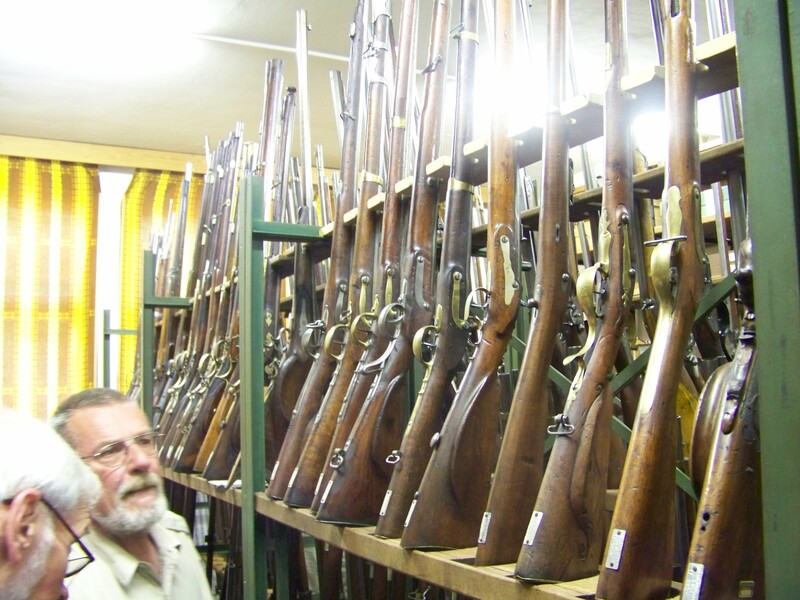 Jon Spencer, a past President of the German Gun Collectors Association examining another rack of long guns. 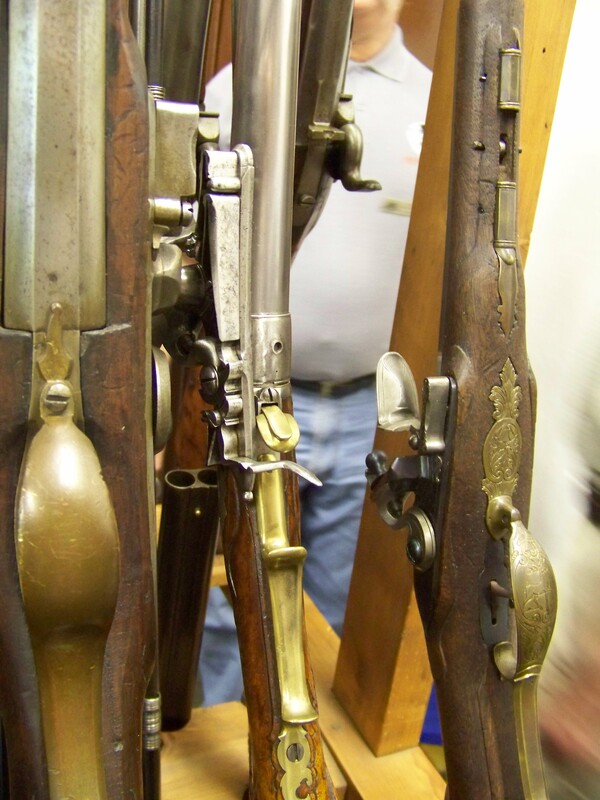 Another rack of guns, the second from the right being a screw barrel flintlock which we will examine later. 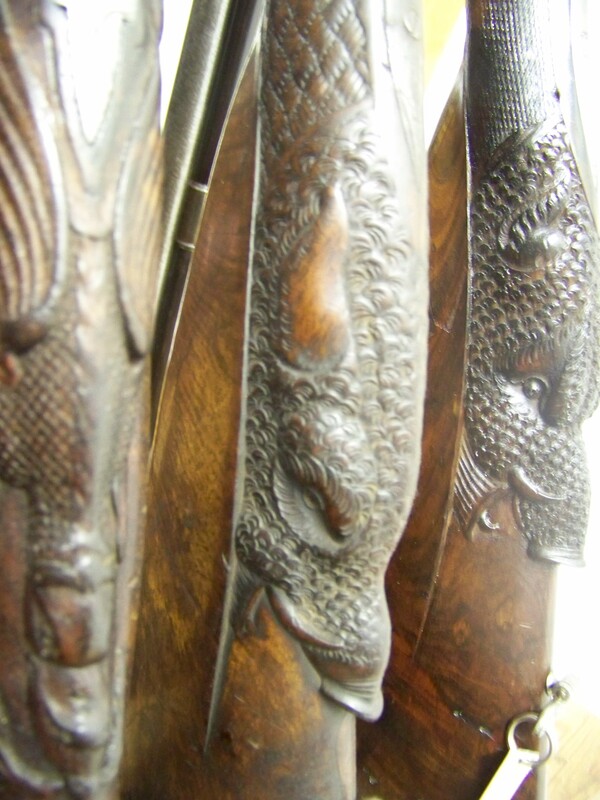 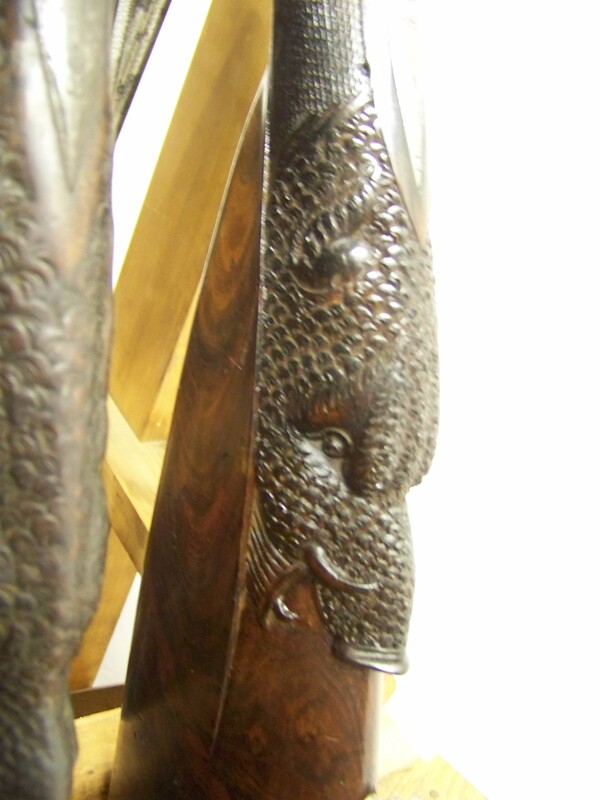 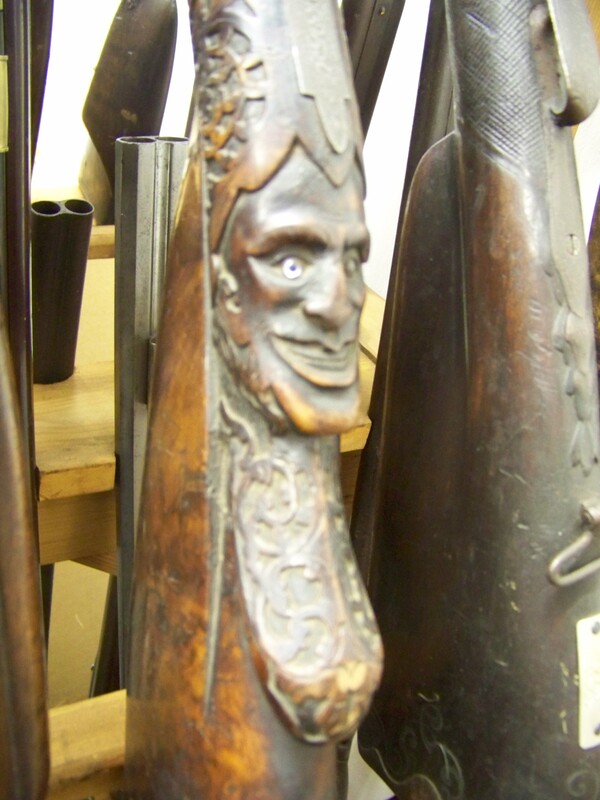 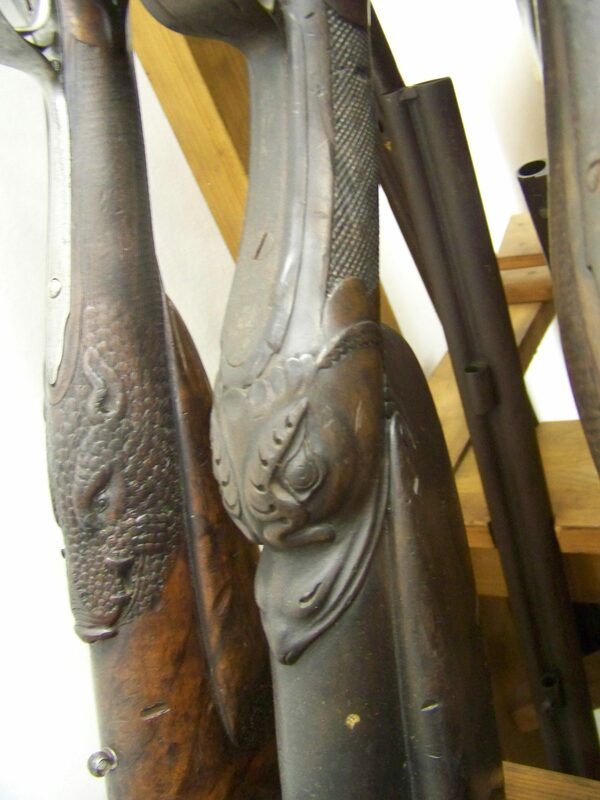 Following are samples of elaborate stock carving from the flintlock and percussion era. 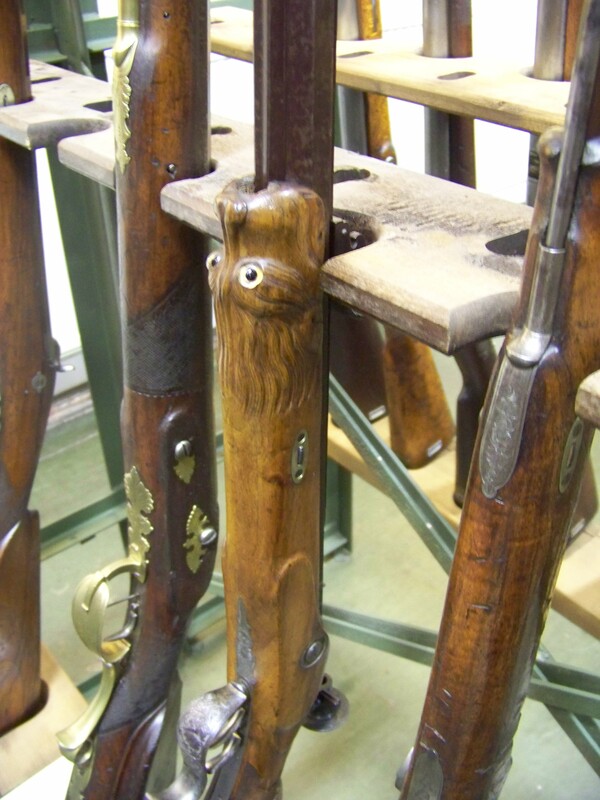 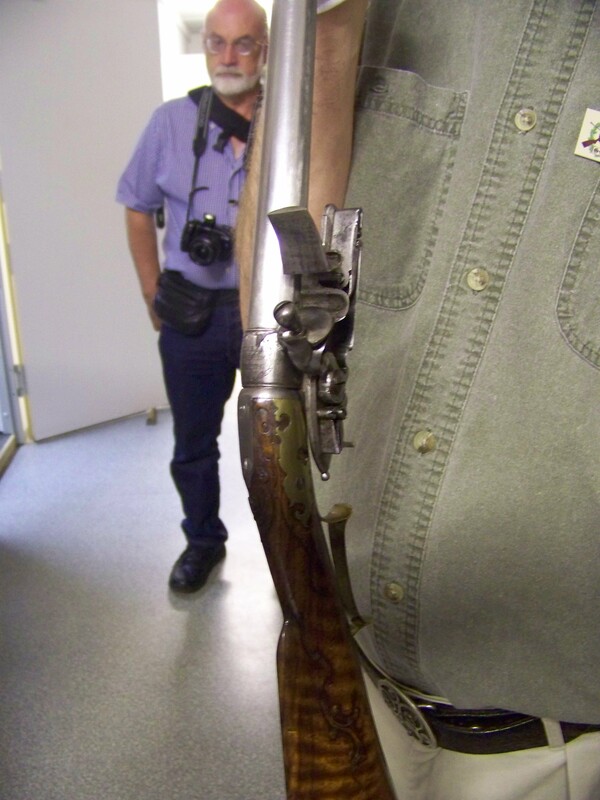 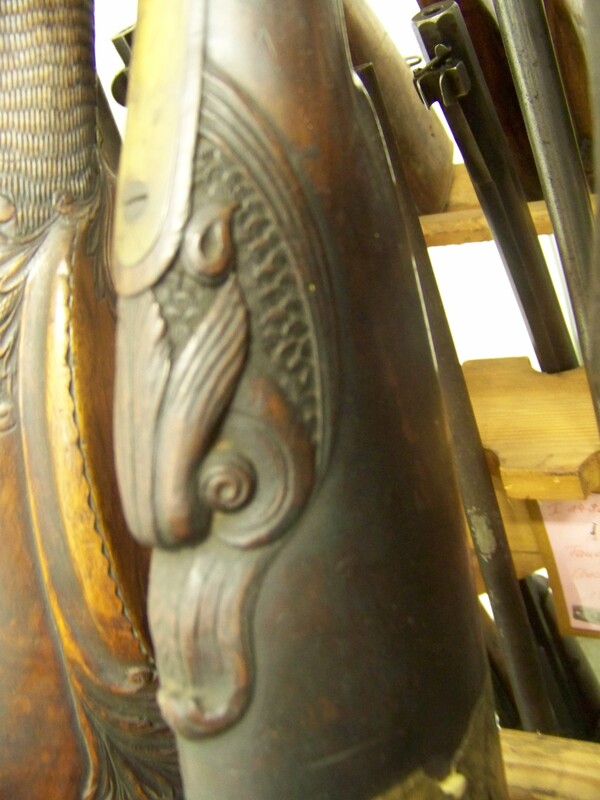 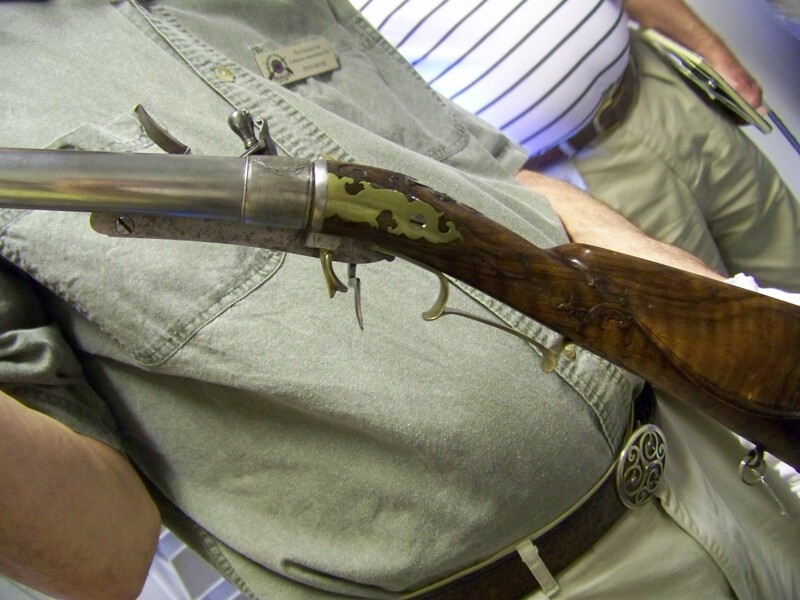 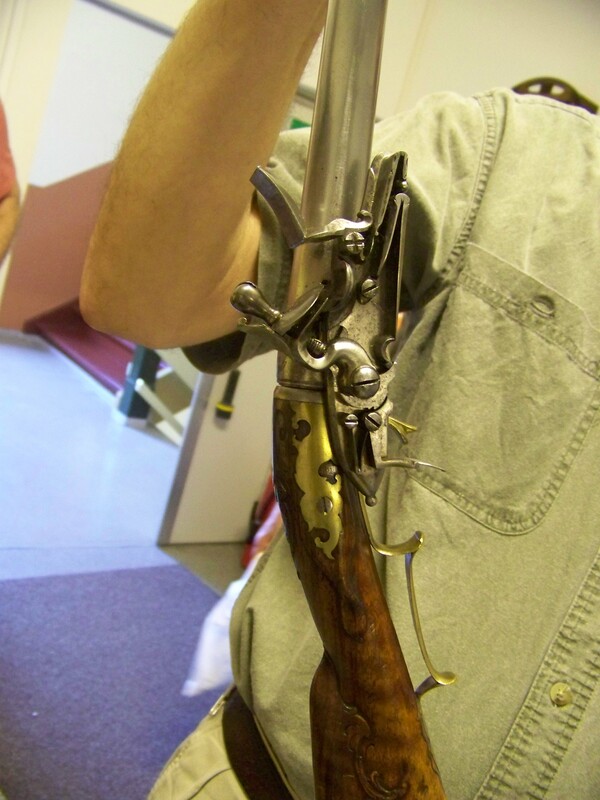 We were allowed to remove a few guns from the racks for closer examination and the following views are a closer look at the screw barrel flintlock shot gun.